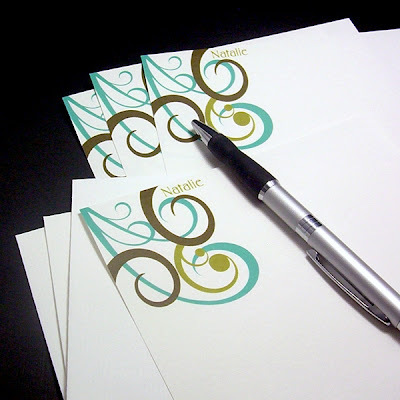 Indulge yourself with this posh & professionally personalized stationery set from Swanky Scribbles. Also makes a beautiful gift for a friend. Sheets measure 5.5" x 8.5" and fit perfectly into the envelopes when folded over once. Designs are professionally printed onto bright-white 67lb smooth, uncoated cover stock (perfect for writing on).